Dr. Lilia Fernández is Associate Professor in the Department of History at Ohio State University. She holds a B.A. in Government from Harvard University, a Master’s degree in Educational Policy Studies from the University of Illinois at Urbana-Champaign, and an M.A. and Ph.D. in Ethnic Studies from the University of California, San Diego. Professor Fernández’s research interests include Latino/a history, immigration, race and ethnic identity formation, urban renewal and gentrification, and women’s history. Her recent book Brown in the Windy City: Mexicans and Puerto Ricans in Postwar Chicago (University of Chicago Press, 2012), documents the overlapping migrations of Mexicans and Puerto Ricans to Chicago in the post-World War II period. It explores their arrival, community formation, and social activism in a period of tremendous social, economic, and physical restructuring in the mid-twentieth century. 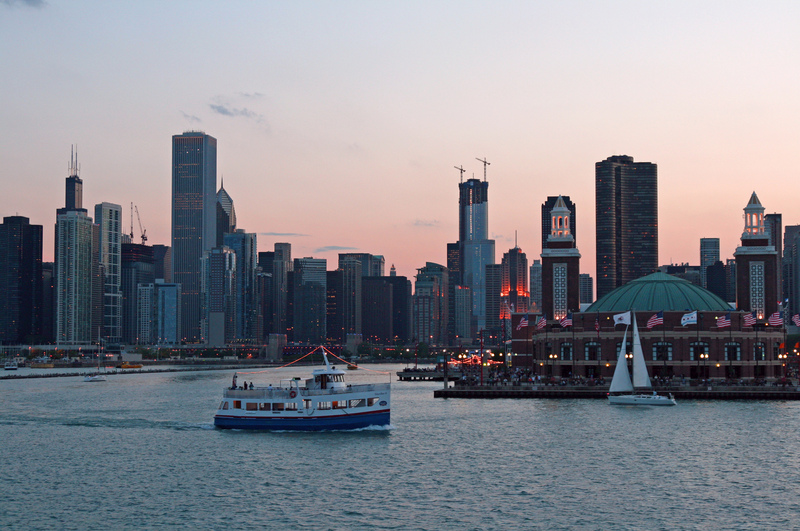 Brown in the Windy City is the first history to explore these populations comparatively. As Illinois’ executive inspector general from 2010 to 2015, Ricardo Meza led his office in hundreds of investigations related to waste, fraud and abuse. He had investigative authority over the office of the Illinois governor, 40 state agencies, 250 boards and commissions, nine Illinois public universities and four regional transit boards, as well as private vendors that conducted business with those entities. His investigations have covered employment, official misconduct, hiring improprieties and procurement, and his knowledge of compliance, audit and internal control issues has enabled him to conduct vigorous investigations into potential fraud or financial improprieties. Before his tenure as executive inspector general, Mr. Meza spent five years as Midwest Regional Counsel for the Mexican American Legal Defense and Educational Fund, a Latino civil rights organization. He led the office’s litigation and public policy matters in 10 states, working on high-impact cases regarding the rights of Latinos to employment, education, political access, immigration and housing. Dr. Layla P. Suleiman Gonzalez, J.D, has been an advocate, policymaker, professor and evaluator, advancing access and equity for Latinos and other minority groups for almost 30 years. Throughout her career in government, consulting, and higher education, Dr. Suleiman Gonzalez has dedicated her life to serving others –students, nonprofits, and the community at large. Her practice and scholarship focus on capacity building, performance management, and human/civil rights approaches to health and human services. In 2007, she wrote legislation to establish the State of Illinois Latino Family Commission and in 2013 she became its founding Executive Director. In this role, she has been a fierce advocate for Latinos in state government, writing several pieces of legislation and promoting equity in state programs, employment, grants and contracts. She represents the Latino community on numerous Boards, Commissions and Task Forces. She previously served as the Federal Court Appointed Monitor for the Burgos Consent Decree which demands fair treatment of Latino families in IDCFS. She has received several awards in recognition of her work including the “Cook County 7th District Women’s Recognition” from Cook County Commissioner Garcia, “Distinguished Alumna” award from the DePaul University Latino Law Student Association, “Community Advocate” from Healthcare Alternative Systems, “Community Advocate for Renewal and Empowerment” Award from Rincon Family Services, the Celeste Peña “Beacon of Light” award from the IDCFS Latino Advisory Committee, and the “Si Se Puede: Por Los Niños Award” from the CWLA National Council of Latino Executives. Dr. Suleiman Gonzalez received her degree in Applied Developmental Psychology at Loyola University of Chicago and her J.D., with a certificate in International Law and Human Rights, from DePaul University.